Trouble Seeing Your Grandkids’ Faces? Home » Low Vision Blog » Trouble Seeing Your Grandkids’ Faces? Trouble Seeing Your Grandkids' Faces? Are you frustrated that your poor vision is it getting in the way of life? You’re not alone. Many people develop vision problems later in life, which can be difficult and overwhelming. Your vision problems may become so severe that you become dependent on those around you to perform simple tasks. For those who are accustomed to an active and independent life, this is very challenging. However, there’s no need to suffer. 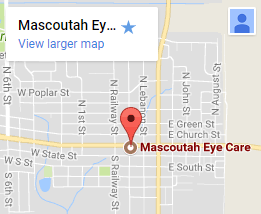 Our eye clinic carries low vision devices to help you see again. 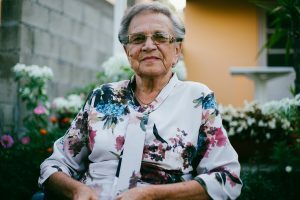 Low vision generally refers to vision impairment that can’t be corrected fully with prescription eyeglasses, contact lenses, medications, or surgical procedures. Low vision means significant vision loss, but does not include complete blindness. People that have low vision are often classified into two groups: partially sighted and legally blind. Those that are considered partially sighted have visual acuity between 20/70 and 20/200 with the aid of corrective lenses. Those that are considered legally blind have visual acuity that is no better than 20/200 with regular corrective lenses. What Are The Causes Of Low Vision? The major culprits of low vision problems are age-related retinal conditions. Cataracts, glaucoma, macular degeneration, diabetic retinopathy, retinitis pigmentosa, cancer of the eye, stroke, eye injury or trauma, albinism, or brain injury can cause low vision. What Are The Symptoms Of Low Vision? Possible symptoms include blurred or hazy vision, night blindness, loss of central vision, and loss of peripheral vision. Low vision eye diseases such as macular degeneration or glaucoma, while not completely curable, can be treated by our experts. Our low vision doctors have the latest technologies, low vision aids, and glasses to help you see again. 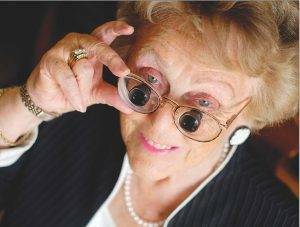 Inexpensive optical and non-optical aids, as well as electronic and digital magnifiers, can be extremely effective in treating low vision. Having trouble seeing your grandkids can be a tough and painful experience. We can help! Contact us today at to see how we can help you regain your independence and start living life to the fullest. Our low vision center offers patients low vision aids and glasses that will improve your vision and give you healthy and happy eyes.